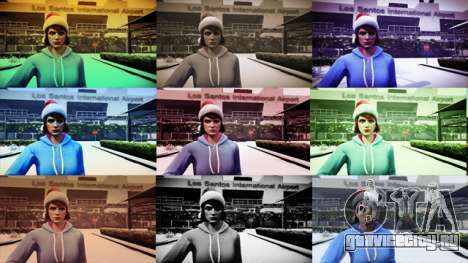 All-new filters and a host of additional Snapmatic updates are also part of the GTA Online Holiday Gift. 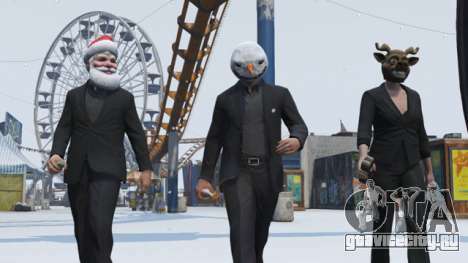 Share your best holiday season Snapmatics with the tag #XmasInLosSantos and R* may feature some of our favorites here at the Newswire in early January. There are also special holiday discounts right now through January 5th on select weapons, vehicles and more to help you lay down some jolly season’s beatings. We've also got half price discounts on musical horns on vehicles, green and gold weapon tints, and to keep you warm in the Blaine County snowstorms there's 50% off Winter hats, berets, Hinterland Boots and Yeti Boots. R* hope these gifts help you all enjoy a fantastic holiday season in San Andreas and wish everyone a Merry Christmas and Happy New Year. They thank the entire worldwide GTA community for its amazing support in 2013 and ask to get ready for big things to come in 2014!